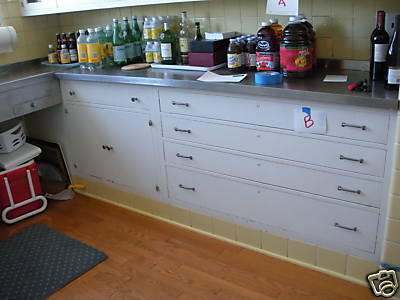 Wow, these are very early steel kitchen cabinets – the ebay listing says that they are from a New Jersey estate, installed in the 40s, and I believe it. 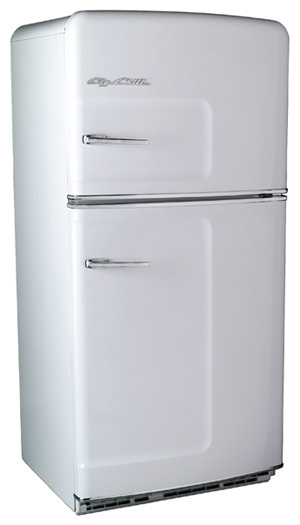 Capitol is the name of a N.J. company that was started pretty early…other names from the period are Dieterich and Elgin — you can see photos from 1933-34 for these two companies over on the Forum under All About Steel Kitchen Cabinets — where some 60+ brands are being chronicled. Looking at these NJ estate cabinets – they certainly look like they could be Dieterichs or Elgins. 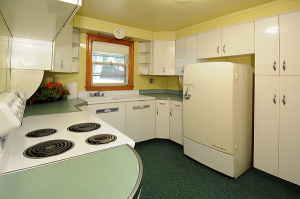 Any East coast readers with a 30s or 40s home who want a wonderful historical steel kitchen? This appears to be a very desirable set, indeed. Hey Pam, do you want to do the interview on the radio show soon? We are going to be doing the show on Monday nights at 9pm now, just let me know when you could do it… drop me an email at vintagegoodness@gmail.com!